You have 2130 characters. Don’t forget to add important and relevant keywords in your description to improve your iTunes app page and optimize your SEO. 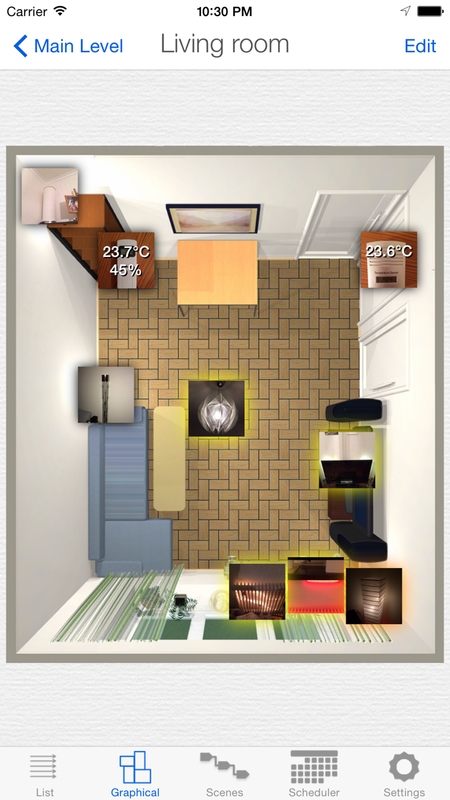 Enlighter app enables you to automate your home from your iPhone, iPad or iPod touch. It supports lights, sensors, projector screens, fans and all other devices compliant with the Telldus Live! service (for example devices by Nexa, Proove & Oregon Scientific). 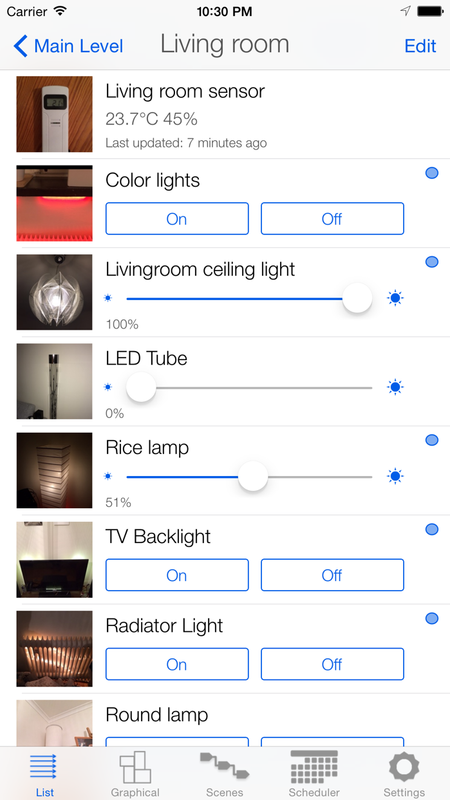 From version 2, Enlighter also supports Philips Hue lights! 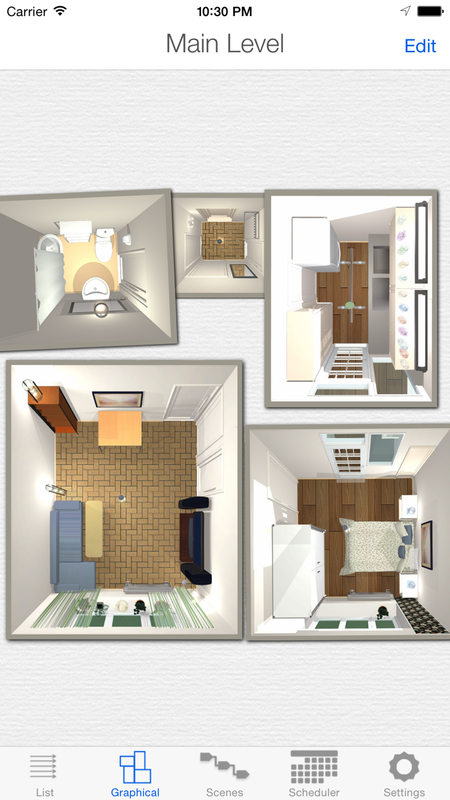 Enlighter supports small and large apartments/houses, through a multi-home setup. You can add photos to your homes, rooms, zones and devices from the camera or from the photo library. Devices can be controlled (on, off, dim etc.) both from a graphical view and from a normal list view. Basic Voice Control is also included (supports US English speech only). Enlighter also has support for Scenes, where you can preset your most frequently used scenes. 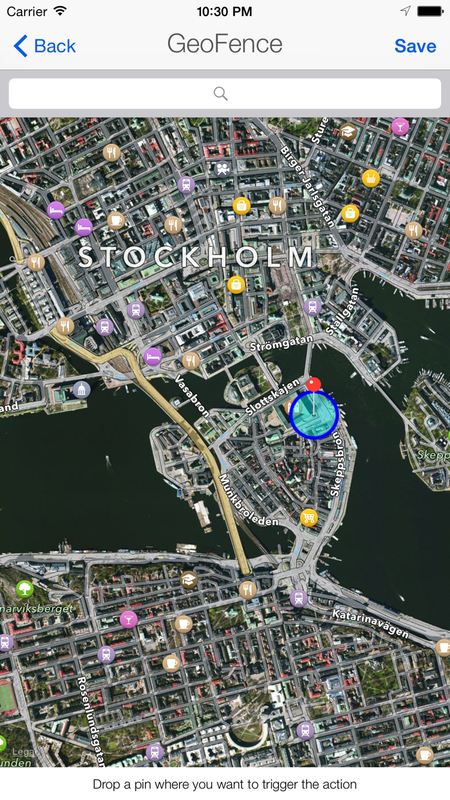 Actions on Devices, Levels or Scenes can be triggered when entering or exiting a certain location (so called GPS geofencing). You can also perform actions which are triggered when the device is shaken. Your setup can be exported and sent by actions, such as email, AirDrop or Dropbox etc., in order to easily transfer it to other devices.